Welcome! 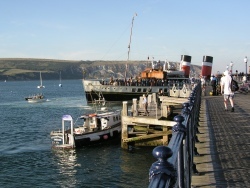 Divers Down Swanage Dorset. Est.1958. 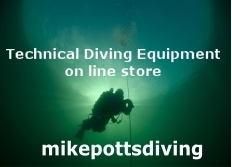 The UK's longest established dive school, 50 years of diver training on the South Coast. 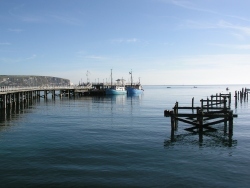 Swanage diving school has been on Swanage Pier since 1958.
best shore dives in the UK. The conditions are very changable at the moment, but there is vis at the moment. Call us for more details. Discover Scuba try dives, guided dives and short course vouchers from £50. Dive later. With the sea quite literally 5 metres from our door, where better to either learn to dive or continue your diving education? Mike Potts Diving at Divers Down Swanage regularly run diving courses at every level, from 'try dives' under the pier to technical diving courses further offshore. 2010 dive school equipment. Regs, BCD's, suits. Megalodon. 1 day courses from £150. 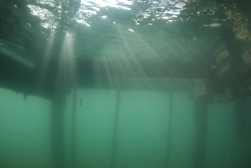 Mike Potts Diving at Divers Down Swanage are not only proud of continuing this fine tradition but we are also proud of the pier itself. 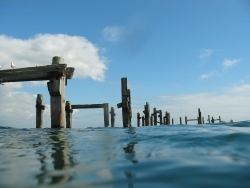 Thanks to the ongoing restoration of this Victorian Listed Building, the pier provides a protected marine environment where generations of divers have experienced the underwater world for the first time. We try to provide more of a 'personal service' type of diver training, with small class sizes. Hopefully this will make you feel you are paying for your training and not your certification. In this way your certification is earned and not bought. We hope to see you in the water very soon.